Can buying or selling real estate really be enjoyable? Yes! Whether you are buying or selling a home, an investment property, or a commercial property, the process of transferring real estate can be daunting, and the pitfalls if things go badly can be ruinous. You need an attorney who understands this complex and changing field, and has the experience to navigate you through it while ensuring that your interests are protected. We have been representing buyers and sellers of real estate for 15 years, and never tire of hearing from our clients that we helped to make the process straightforward, understandable, and hopefully a bit less stressful. We know the law, but that isn’t enough. One of the biggest complaints we hear is that a client's previous attorney simply wasn't responsive. In the real estate arena, especially for someone buying their first home, it can be a nerve-wracking time, and having an attorney who is there and willing to answer your questions can make the difference between feeling like you understand and are in control of the process, and feeling like you are being left in the dark. We commit to you that we will answer your calls, vigorously protect your interests, and make the process as smooth as possible, taking as much time as necessary to answer your questions and explain the process in whatever detail you prefer. Unique to Winstead Law, we also provide buyers with free buyer’s representation including Purchase & Sale negotiation if we also close your loan. Generally, a buyer might have to pay $500-$750 for this, perhaps more if there are complications. But it’s just one way in which we try to keep your costs down, and something that we hope will foster a positive relationship with you as our client so the next time you have a legal need, you might consider us. As you may know or will soon find out, the costs involved in a real estate transaction can be high, and there isn't much opportunity for savings. However, at Winstead Law we take pride in offering buyers free representation (including the negotiation of their Purchase & Sale Agreement) if they will be financing and we serve as closing counsel for your loan. In today's market, that is more than $500, sometimes thousands, that stays in your pocket that you can use to put down on the home, make improvements after you buy the home, or just hang on to. So why do we do it? Easy. We work hard the entire way through your buying process to make sure you end up with the home you want and happy memories of the buying experience. We hope that this, plus the reasonableness of our services, will make you consider us if you have a legal need in the future. Q: What is real estate, other than land? A: Real estate (also called real property) refers to not just land, but to the things attached to the land. 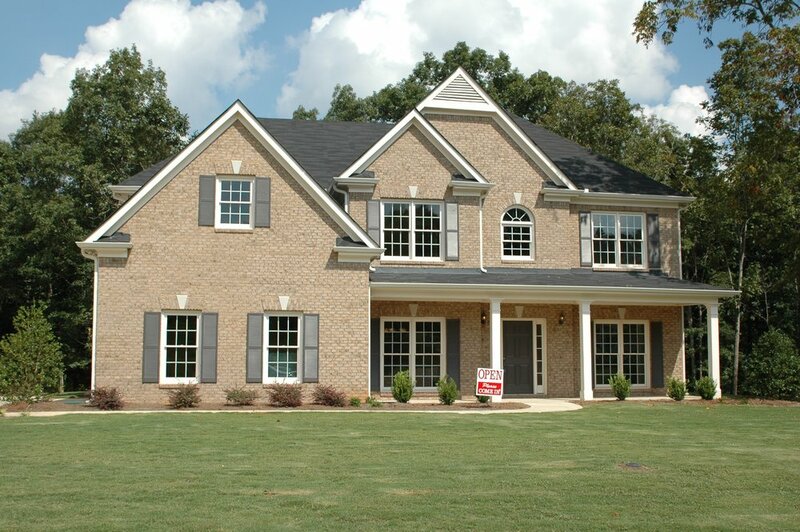 For most consumers, real estate consists of their home and the lot surrounding it. Commercial real estate may include factories, equipment, and other facilities. In addition to buildings and equipment, resources existing on (or under) the land, including minerals and gas, are part of real estate. Some of these components of real estate can be sold separately. A: A deed indicates the ownership of real estate and is generally required to transfer an ownership interest. A deed contains the names of the old and new owners and a legal description of the property, and must be signed by the person transferring the property. There are numerous different types of deeds. Although the most common in Massachusetts is the Quitclaim Deed, we also use Release Deeds, Fiduciary Deeds, and Warranty Deeds when the situation requires it. Utilizing the wrong type of deed can have serious consequences if a problem with ownership ever crops up. Q: What restrictions are typically imposed on real estate? A: The starting point is that, unless it is outright prohibited, an owner of real estate can do whatever they wish on their own property! However, there are limits. Federal law imposes environmental restrictions. State and local laws do the same, but also use zoning rules to regulate the development of the property. There may also be Restrictive Covenants applicable to your real estate, usually if it is part of a homeowner’s association, and there might also be easements granted to give you additional rights over someone else’s property or allow someone else rights over your property. Q: What are my ownership options? A: How you take title should be discussed with your attorney early on in the process. If you are buying the property by yourself, you might simply take title in your own name, but for various reasons you might use a Trust or other holding vehicle. If you are buying with others, there are a few options available, including ownership methods that would allow you to own jointly so that if an owner dies, the other owner(s) automatically take the remainder (handy for avoiding the Probate Court); an Tenants in Common, where each person owns their share and if they die their share is passed down to their heirs or whomever they direct in a Will. Q: What is a Declaration of Homestead and should I have one? A: If the property is used as your primary residence, the answer to the second part is absolutely yes! Massachusetts decided long ago that even if you fall on hard times because your debts go into collection or you are sued for some other reason, your home should be protected so you do not end up homeless and a ‘burden’ on the state. Thus, in Massachusetts, the simple act of recording a single document, a Declaration of Homestead, will afford the owners of residential property protection from creditors for $500,000 of the home’s value! While this is a no-brainer, it does have limits besides the dollar amount. Your Declaration of Homestead will not protect you if you default on your mortgage – the lender can still foreclose on the property. Likewise, if you owe state or federal taxes, they are not prohibited from going after your home to collect. But for most other potential debts, you are protected! A: A mortgage is a security interest that you as the property owner give to another party to secure the repayment of an obligation. Most often you are giving a lender a mortgage to secure your repayment of a loan they make to allow you to acquire or refinance the property. The mortgage is recorded in the Registry of Deeds where the property sits, and if you fail to abide by the terms of your agreement, i.e. fail to make your monthly mortgage payment, the lender is entitled under the Mortgage to begin foreclosure and sell the property at auction. Q: What tax benefits come with owning real estate? A: This is a conversation to have with your accountant or tax professional, but the short answer is that there are numerous tax advantages to owning versus real estate. For one thing, you can deduct every penny of interest that you pay in mortgage interest and real estate tax on your income tax returns! Additionally, certain closing costs are tax deductible, and there are a number of federal and state subsidies and tax credits to help offset the costs of maintaining or updating your home. In Massachusetts, Mass Save (www.MassSave.com) offers some incredible savings for energy efficiency improvements. When the time comes to sell your property, the state and federal government offer generous tax-free gains on the sale of your residence, so if you sell your home and make a profit, you may owe no tax whatsoever on that money! What is the nature of the real estate matter?